Recycling/waste collection information and Transfer Station hours can be found below. Please do your part to help Westland’s recycling efforts. Most items not suitable for recycling (listed below) can be taken to your local Transfer Station instead. If items are found in your recycling bin which cannot be recycled, your bin will not be collected that week. What can NOT go in my recycling bin? Many of these items can be taken to your local Transfer Station instead. Contamination of entire loads of recycling can occur with certain items that shouldn't be there (eg. dirty nappies). If items are found in your recycling bin which cannot be recycled, your bin will not be collected that week. Where do I take things that can't be recycled (eg. glass)? 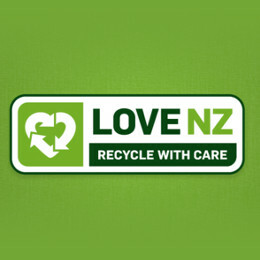 Many items that shouldn't be recycled in Westland can instead be taken to your local Transfer Station. Drop off availability and costs are outlined on the Transfer Station page below. Should I clean my recycling before putting it in the bin? Yes, all recyclables must be clean and empty before being placed in the yellow recycling bin for collection. Information on weekly collection and Transfer Station hours.